Bettola is located in the historic Martin Biscuit Building in Birmingham's Lakeview District. Owned by chef James Lewis, recently named one of the best new chefs in the country by Food & Wine magazine, Bettola serves traditional Neapolitan pizza prepared open kitchen-style in an authentic brick oven. James Lewis’s authentic Italian dishes — including house-made pastas, house-cured meats and wood-fired pizzas — earned him the honor of being named one of America’s best new chefs of 2011 by Food & Wine. As chef and owner of Bettola, a stylish, big-city spot in Birmingham, Lewis continues to return to Italy to study and source ingredients. He enhances imported ingredients with local products from Alabama farmers and artisans, as well as from other sources throughout the region. Before opening his own restaurant, Lewis honed his skills at the Plumed Horse in Saratoga, Calif., Winston's and Café Julien in Birmingham, and at Locanda di Bu and Antica Macelleria Cecchini butcher shop, both in Italy. Chef Lewis is also one of the few American members of the Associazione Pizzaiuoli Napoletani, an association that certifies pizzerias as authentically Neapolitan. Bettola was recently lauded in the Great American Bites column in USA Today as one of the country's best pizza places. In his quest to create the dish true to form, chef and owner James Lewis studied and trained in Naples, Italy, where Neapolitan pizza was created 300 years ago. He found a type of pizza markedly different from the ones typically found in the U.S. Instead of using processed flour, Lewis imports unbleached European white flour from Naples. The wheat's low gluten content creates a light crust that is very soft inside. 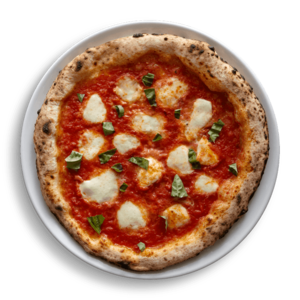 For the rich sauce, Lewis uses San Marzano tomatoes, a variety grown in the volcanic soil of Mount Vesuvius. Bettola's cheeses, including fresh, creamy water buffalo mozzarella, are imported from Italy or made locally, including some made in-house. Meats are cured at the restaurant or bought from Italy, and vegetables are grown at local farms. "You're getting the highest quality, freshest ingredients possible," Lewis says. Another difference is how the pizza is cooked — at a very high temperature (900 degrees) for a very short time (1½ minutes) in a wood-fired pizza oven that was handcrafted in Naples. "The flour we use has a low sugar content, so the crust doesn't get charred," Lewis says. "It cooks perfectly at a higher temperature. All the ingredients are nicely warmed but still alive, and you can taste the freshness."